Keratin Will Help Give You The Hair You Have Always Wanted. Keratin treatment is the best and easiest way to remove all your hair problems. Having dry, frizzy, and unmanageable hair is a problem for almost everyone. It ruins the way you look, it is very annoying to have, and it is often problematic to fix. People have spent a lot of money for hair treatments and products. Some of these treatments and hair products may be unknowingly causing more damage to your hair. Do not risk your own hair on these products and do not pay for these very expensive treatments. 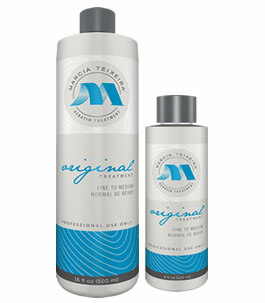 Go get Marcia Teixeira’s Keratin treatment in order to obtain the hair you have always wanted! It is the safest, easiest, and most reasonably priced solution for all your hair problems. Keratin treatment is a hair treatment method pioneered by Marcia Teixeira. This hair treatment method is the product of several years of extensive research and development from company founder Marcia Teixeira along with some of the best hair experts around. Many have tried to emulate the Marcia Teixeira’s treatment methods but all of them pale in comparison to the original. The Keratin treatment method brings you the softest and shiniest hair you can possibly have. This hair treatment will finally tame your wild hair and give you the manageable hair you deserve. The hair treatment repairs the hair from the inside and adds outside protection to the hair. This outside protection prevents the hair from getting damaged once more. Marcia Teixeira Keratin Treatments through the years have continued to do research to develop new ways of giving you the best possible results. This continuous pursuit of progress and excellence has brought in new and varied treatment methods. There are several different treatments that are available right now. Some of these treatments include the original treatment, the chocolate treatment, the soft treatment, the soft chocolate treatment and the advanced treatment. These different treatments are developed to give the best results for specific situations. The keratin hair treatment is fairly quick and the results it gives last for a relatively long period. Do not worry about the hair you currently have because this treatment is universal. This means that the hair treatment method will work safely and effectively for any type of hair. As for professional only treatments, Marcia Teixeira requires stylists to undergo special keratin treatment training and complete hands on education program. This is done to insure that the method is done properly by the stylists.